Real-life buddies Ryan Reynolds and Bradley Cooper are teaming up for a new buddy cop action-comedy film. Heartthrobs and real-life buddies Ryan Reynolds, 33, and Bradley Cooper, 35, will be starring together as on-screen pals in an R-rated action-comedy movie, which does not yet have a title. The duo are set to play San Francisco detectives in the flick, which has been compared to an edgy Lethal Weapon. The buddies call upon their retired cop fathers to help them solve a case. The roles of the fathers have yet to be cast. Bradley Cooper, who recently starred in The A-Team, and the Canadian Reynolds, who is about to be seen in the upcoming superhero film Green Lantern, will team up for the very first time on film. 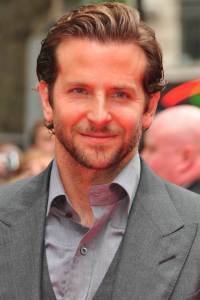 Cooper is best known for his roles in The Hangover, Wedding Crashers and also on the TV cult hit Alias. Reynolds is best known for his roles in National Lampoon’s Van Wilder and The Proposal. He also played Deadpool in X-Men Origins: Wolverine. Ryan Reynolds and Bradley Cooper could both easily win the title of “Sexiest Man Alive,” so watching them together will be nothing less than a dream!